One of Bangalore’s old school bakeries from the 70s, All Saints Bakery thrives even now, thanks to its fantastic quality of product prepared and sold everyday. You can smell the fresh bread from a distance! Founded by Thomas Vellara in 1969, All Saints Bakery was known for its delightfully freshly baked hand-made breads catering to everyone who made it to the bakery early enough to grab a loaf. The bakery, now run by second generation family bakers has evolved to cater to the palette of the younger generation. An addition to bread, buns and dinner rolls, all those who grew up in Bangalore in the 80s and 90s will have fond memories of eating Lemon Tarts. You guys have to go back to relive them as they're still rocking it! 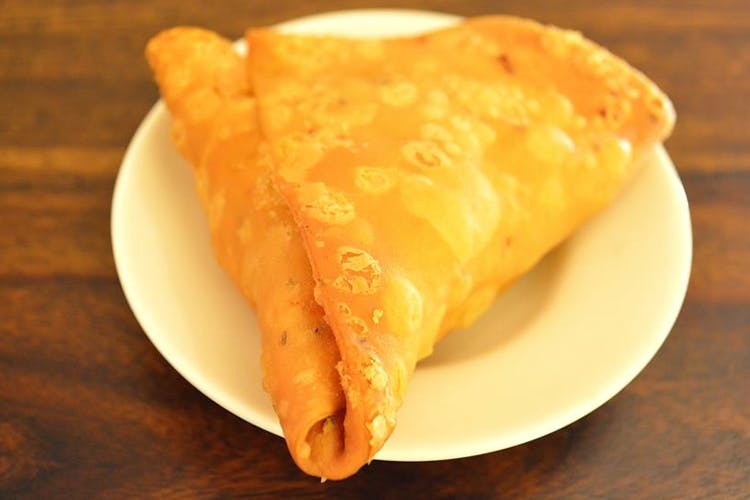 Oooh, and those amazing, deep fried mutton samosas. They also make cakes that are slathered with fresh cream - makes each bite light and juicy. Not many bakeries make Chocolate Éclair anymore; for those who are craving one – head straight to All Saints because they are the best. The eclair is piped with fresh cream (whipped cream made at the bakery) instead of a conventional custard filling. You can also stock up on tea time treats such as tea crackers (khari puffs) and sesame seed biscuits (a top favourite). If you're short on groceries, they have a small supermarket where you can pick up essentials too. There’s no parking available – so park your cars or bikes a little away and walk up to the bakery. Pick up boozy plum cake during Christmas Season. You can taste the rich flavours of rum soaked raisins and nuts in each bite. During Easter, you have to eat warm Hot Cross Buns. But go early and grab them before they are all sold out.